This International Women’s Day, the world is being asked to #BeBoldforChange. But how do we do that? Do we go out into the streets to take the fight on head first? Let’s face it we’ve already seen a lot of that this year. Our streets have hardly been free from marches and placards, and frankly, with what feminism has been faced with this year it’s no wonder. But being bold for change can simply be about celebrating the achievements of women. Women who have already fought for change, whether it’s feminism, equality or other societal challenges. Women who have become role models for generations of women and inspired them to not just sit there, but to go into the world and work hard to bring about change and show the world that no matter what you are faced with, you can achieve anything. 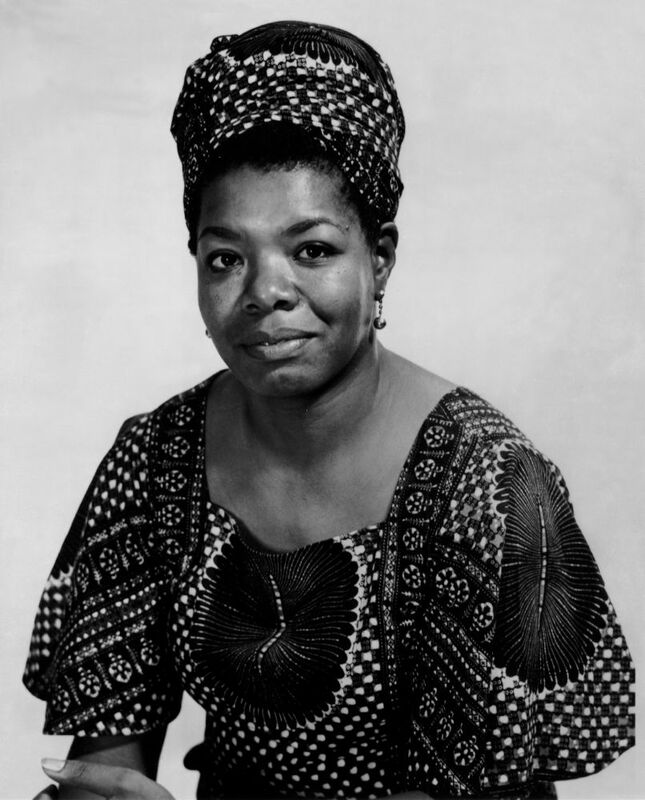 Maya Angelou was a woman who has inspired me in more ways than one. I first read ‘I Know Why the Caged Bird Sings’ at college in an English Literature class. Straight away I knew she was someone I wanted to learn more about. Despite a hard upbringing in Stamps, Arkansas, she’s shown people around the world that your beginnings don’t have to affect your future successes. You write your own story, not one set out by others or what happened in your past. Through her writing, she has empowered people to stand up and be proud of their skin colour, gender, sexuality and religion. Every time you read one of her quotes, poems or books you can find some way to relate it to your own path. and she shows you how to pull through even the hardest of situations. They teach courage, a positive outlook and to respect one another. Despite her death in 2014, her work still provides hope that one day we will be in a world of equality and understanding. Lorin LaFave is one hell of an inspirational woman and the embodiment of #BeBoldForChange. Lorin lost her 14 year old son Breck Brednar in 2014, when he was murdered by someone he met online. Breck had been groomed while gaming online with his friends. His mother had witnessed what was happening and alerted people and authorities she believed would help her and her son. Tragically they didn’t receive the support or intervention required. It’s hard to comprehend the grief, loss, fear and anger that Lorin and her family have suffered. It is every parent’s worst nightmare. Lorin set up the Breck Foundation in memory of Breck. Their mission is to educate the digital generation of the dangers young people face online every day. I met Lorin when she visited my son’s school this year and shared her compelling story. To have suffered and survived everything their family has been through, and to turn that pain into something positive by campaigning and sharing your heart-breaking story with others is about as brave and inspirational as it gets. Katie Piper has experienced what has to be one of the most hateful, life changing crimes. I cannot begin to imagine the mental scars that are left after having sulphuric acid thrown in your face on behalf of an ex, let alone the physical. If this had happened to me, I doubt I would have the courage to face the outside world or trust anyone ever again. Katie has used her experience to increase awareness for burns victims and is now a successful TV presenter, writer and philanthropist who has set up the Katie Piper Foundation. She has shown me (and many other women I am sure) that looks are most certainly not everything and that you can take your problems and bad experiences and turn them into something positive, instead of letting them destroy you. Katie is now married with a child and is living proof that you can move on from the past and that you have to have faith in those around you. She is brave, beautiful, strong and a true inspiration. When I hear her name I think of determination, focus, strength, power and healthy body image. My first memory of Serena was when I saw her in an interview when I was a kid, she was talking about her training regime and what has stuck with me still to this day was her comment about her training on days when she didn’t feel motivated, but that those days were just as important. This quickly became a value of mine, to know what you want, commit and honour the commitment you set yourself even when you may not feel up for it. Set your goal, break it down to short term goals, find a mentor and work hard, day in day out. And if for one second you doubt yourself remember, as Serena once said “You have to believe in yourself when no one else does”. Serena provoked praise and admiration after her response to a journalist who asked about her being “one of the greatest female athletes of all time”. She replied: “I prefer the words ‘one of the greatest athletes of all time'”. It is a fact that men and women are treated differently when it comes to success, how they got there and what they are like as a leader. The same situations are often described differently between men and women and this needs to change. fact that it was captioned as it was shows the positive impact she is having on attitudes towards body image. Having had her body under scrutiny for years with years of the media commenting on her size, she has in the past expressed self-consciousness, specifically when it comes to her arms but she has also spoken up about that she is now comfortable in her own skin. For me, Michelle Obama is an inspiration and a great role model for women – young and old. After her husband became one of the most powerful men in the world as President of the United States, it would have been easy for her to do nothing but support him and raise their family quietly behind the scenes while he fulfilled all his political ambitions. Instead, she carved out her own role as the First Lady with various campaigns and initiatives such as supporting military families, tackling childhood obesity and poverty awareness, becoming so popular in her own right that many are calling on her to run for Presidency herself. And she did all of this with amazing class and grace while also keeping her family as her priority, raising her two children and having a seemingly very happy marriage. Most women want it all – a loving marriage, a settled and happy family and a career of their own and Michelle Obama is proof that this can be done. There is no doubt that there are millions of inspirational women out there – Angelina Jolie seemingly manages to raise a massive brood of children while doing amazing humanitarian work and acting her socks off, and Madonna adopts child after child while singing her heart out and maintaining impressive biceps in the process. You then have the brilliant women who made history – Marie Curie, Emily Pankhurst and Florence Nightingale – all of whom stand for great things. I love all of them, I do. But have they inspired me, and affected my life in any way? In short, no. For me, I can only really look up to, admire, and alter my life in accordance with the strong women around me. So while it’s cheesy and predictable, my mum is, of course, my absolute hero. She IS the one who has taught that family comes first, that I am strong, I must work hard, I can achieve, she makes me feel invincible. And she’s always, always there for me, as I will be for my children. But in addition to her, I have some friends who are literally inspirational. Not because they are changing history or making a difference to the plight of the world. But because every single day they do their absolute best for everyone. Take my friend Niki. She works full time, she’s a successful salesperson – she could sell ice to Eskimos. She also has a loving husband, two children, one in secondary and one in primary. She makes sure they do their homework, attends their clubs, cooks from scratch for them, reads to them, preps them for their exams. In addition, she exercises and teaches her family about the importance of good health. She also volunteers for everything going. As if that wasn’t enough she has more friends than I’d know what to do with – she’s the first one there if you need a shoulder, and she’s brilliant at sharing a bottle (or two) of wine. SHE is an inspiration. You can look to celebrities to change the world and to set a public example of how to behave, but you should also look to the people around you, as they’re the ones who can really shape how you behave and who you are.